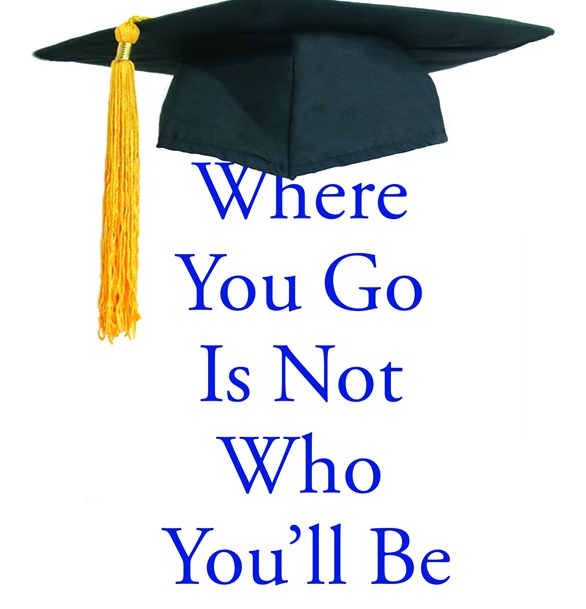 Keeping Perspective During the College Application Process – Thanks to Frank Bruni! It is an exciting and anxious time in my family with my oldest child entering the homestretch of his high school career. My son Tim is going through all of the things that so many of the students have gone through in the schools where I have worked as an administrator, but it is still a very foreign experience for me as I go through this for the first time as a parent. My son has worked hard and done well academically and socially during his four years of high school. However, I still have a lot of the questions that many parents have as their children start the college application process. I sometimes wonder about the importance of Tim getting into a “prestigious university.” Fortunately, I was tipped off by someone about Fran Bruni’s great book Where You Go Is Not Who You’ll Be: An Antidote to the College Admissions Mania. Let me share a few more of my favorite selections from the book that helped me gain some perspective on the college search/application process for me. The book also explains the process used to develop the U.S. News and World Report’s annual college rankings issue and how limited its usefulness is for college applicants and their families. Just check out the following statement from Bob Morse, the person in charge of the U.S. News rankings. Anyway, I could go on and post another dozen excerpts from Bruni’s work that I feel are spot on in regards to the college selection process and it’s long term implications for our students, but instead I encourage you to read the book and come up with your own insights. The book is full of examples of successful groups of people who did not attend “prestigious universities.” If you are a parent of someone who is in the middle of this process or about to go through it, then I am confident you will have trouble putting this book down. In conclusion, I want to leave you with a letter that was shared in the book. The letter was written by two parents and given to their son on the eve of his finding out whether or not he was accepted to his top three colleges (all Ivy League schools). Dear Matt,On the night before you receive your first college response, we wanted to let you know that we could not be any prouder of you than we are today. Whether or not you get accepted does not determine how proud we are of everything you have accomplished and the wonderful person you have become. That will not change based on what admissions officers decide about your future. We will celebrate with joy wherever you get accepted—and the happier you are with those responses, the happier we will be. But your worth as a person, a student and our son is not diminished or influenced in the least by what these colleges have decided. If it does not go your way, you’ll take a different route to get where you want. There is not a single college in this country that would not be lucky to have you, and you are capable of succeeding at any of them. I can truly say that I am proud of what my son has accomplished to date and I have enjoyed watching him mature during his high school years. I am confident that he will be successful in whatever he chooses to do and I know that college application/acceptance process will not change my feelings on this.